I managed the final stages of the Forging the Future project, which completely refurbished and redisplayed the Metalwork Collection at Museums Sheffield: Millennium Gallery. © Andy Brown, courtesy Museums Sheffield. This project transformed the display of Sheffield’s Designated Metalwork Collection at Museums Sheffield: Millennium Gallery. I was brought in to manage the final four months of the project from demolition to reopening and final reports. During this time, the objects were removed from the old displays and the gallery was completely gutted. New bespoke showcases and structures were built and installed on site. Working within the established designs and framework for interpretation, I supported work on editing text, finalising interactives and creating gallery graphics. I successfully brought the project in on time and on budget. I was responsible for change management and snagging, dealing with the daily issues arising on this complex building project within an open public building. I was the primary point of contact for the exhibition designers Mather & Co, graphic designers 1977, fit out contractors Workhaus, and audio-visual specialists APinteractives. 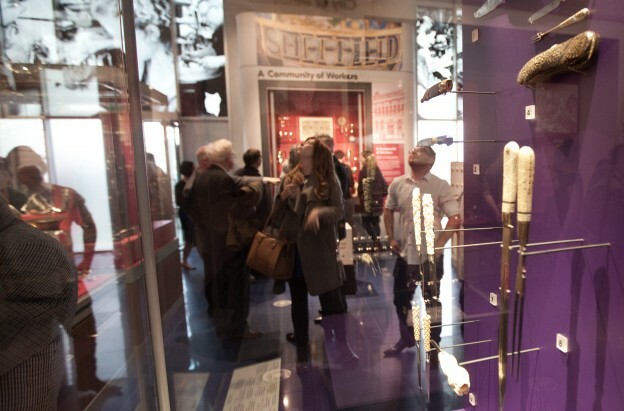 I led the internal communication at Museums Sheffield – working across all the teams and implementing systems to ensure the smooth running of the project.